1) My posters message is saying no matter how scared you are you can find courage and face your fears. 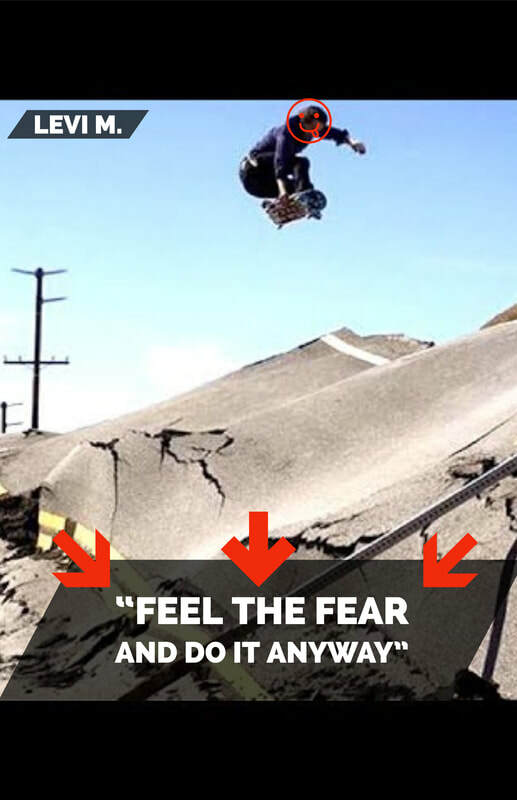 2) When I was making this poster I decided it would be a cool idea to send out the message of facing your fears through skateboarding. 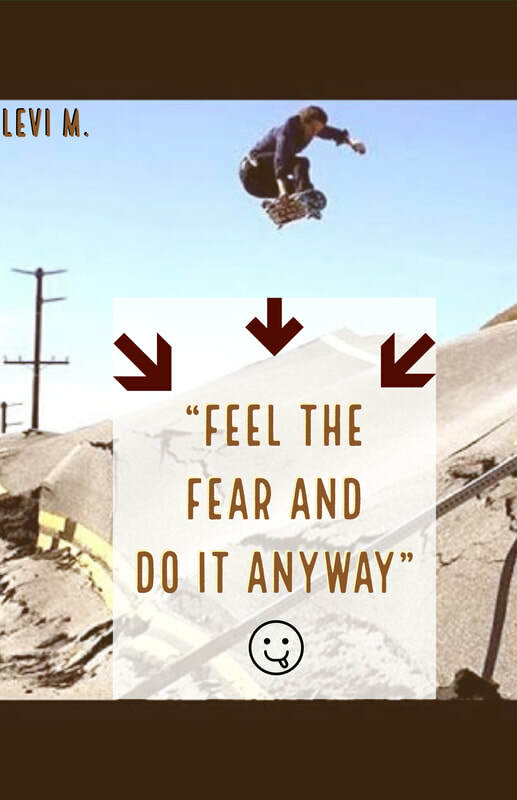 I chose skateboarding because there are many fears that need to be faced if you want to become a good skater. 3) My final design is the best because There are multiple pictures instead of one and I think the colors contrast well. 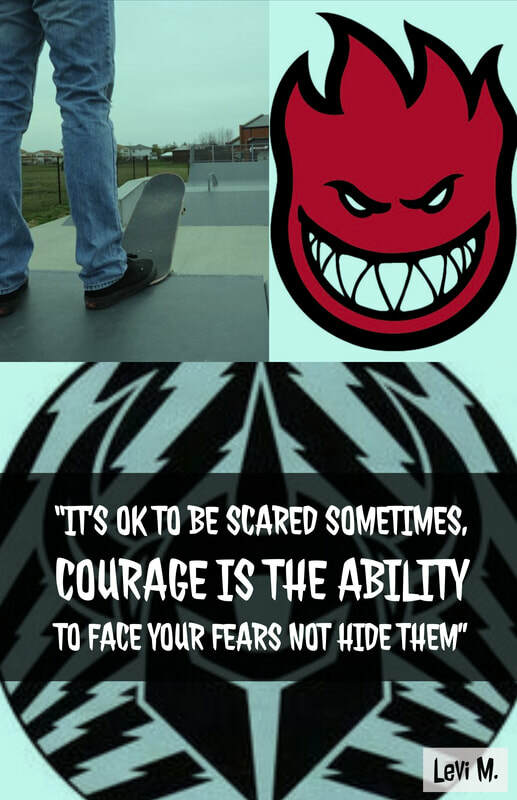 My favorite part is the quote though, it talks about using courage and I think it describes facing your fears more than the first quote. 4) The first thing I learned about designing a successful poster is picking a good picture. Second picking a quote that goes with the picture, or at least one of the pictures if you chose more than one. Finally, picking the right colors. I think this is important because you need your poster to have good colors if you want it to look good. It is also important that you colors contrast. For this image I first found a background online that I liked and put it in Photoshop. Next I found all of my characters and placed them in the background. Finally I made text bubbles, and when I put it all together I was happy with my result. When I finished tracing them I then imported my characters into the laser cutting website called 10.3.4.31, spaced them out and cut them. I then realized after I cut them that my characters were messed up and to far apart in size, so I cut them again. After that I put all of my characters into Adobe Illustrator and traced them. I also had to make sure they were the right size so they would look good when they were cut. When I cut them for the second time this is how they turned out. Finally the right size and shape. Overall I am happy with how my characters turned out, and when I put them on the background and add some details I'm sure they will look even better. I finally printed my background and placed my characters on it. When I did this I realized the background was a little small, but it looked like it was in the distance, and I liked that so i kept it and I am happy with my final result! 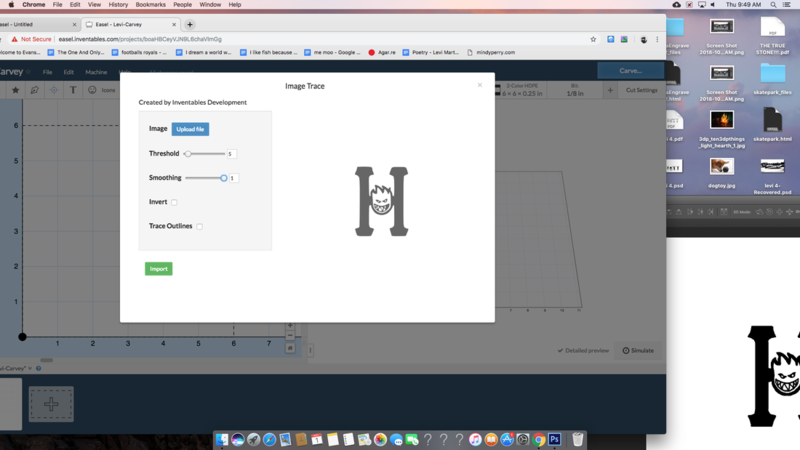 I'm going to do the Carvey for my final project. 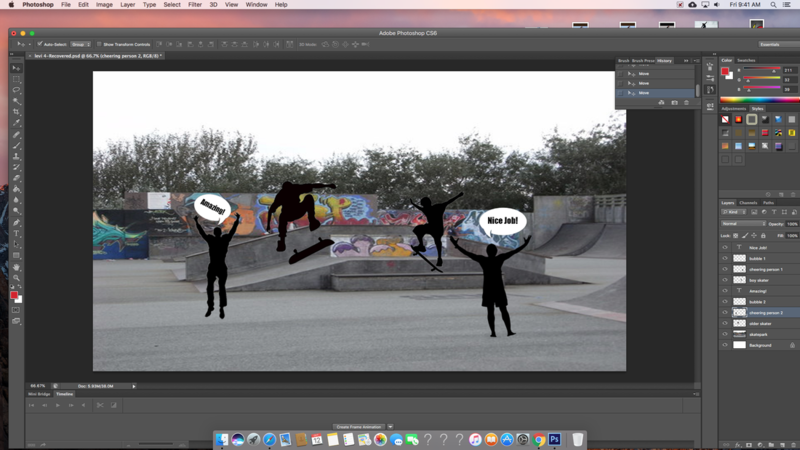 I'm planning on finding a picture of a skateboard logo and tracing it in Photoshop to make a Carvey. If I have enough time I might even try to put lights in my project. 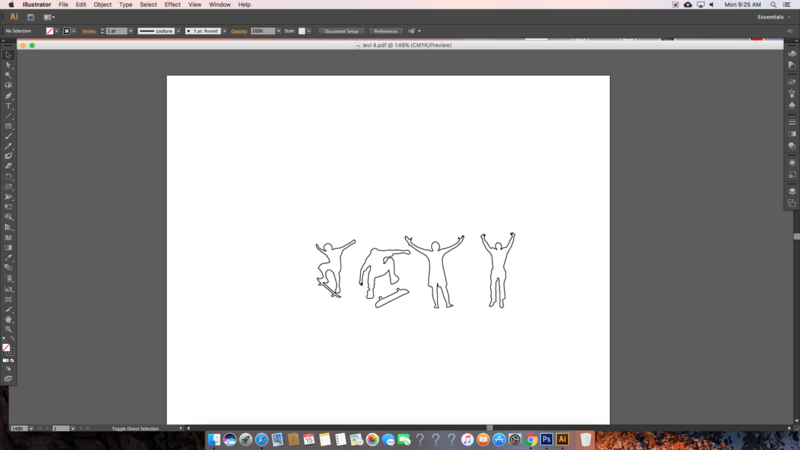 Today I found an image online and started tracing it. It was really hard It was really hard tracing the teeth so tomorrow I will fix them up a little. 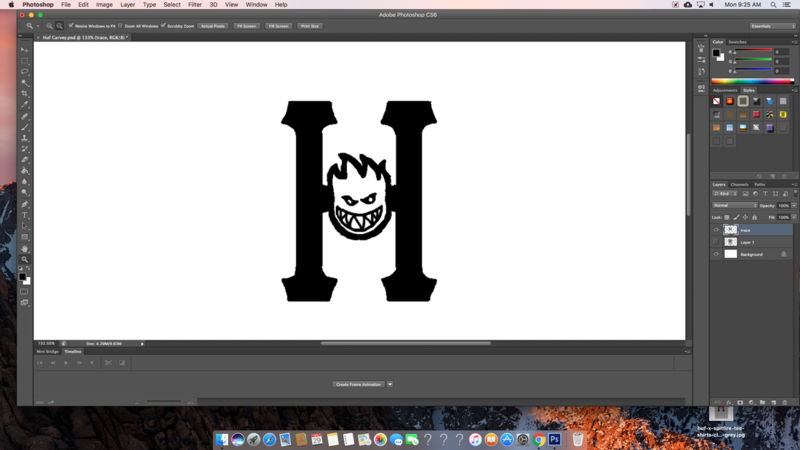 Today I finished tracing my Image and filled the H in. 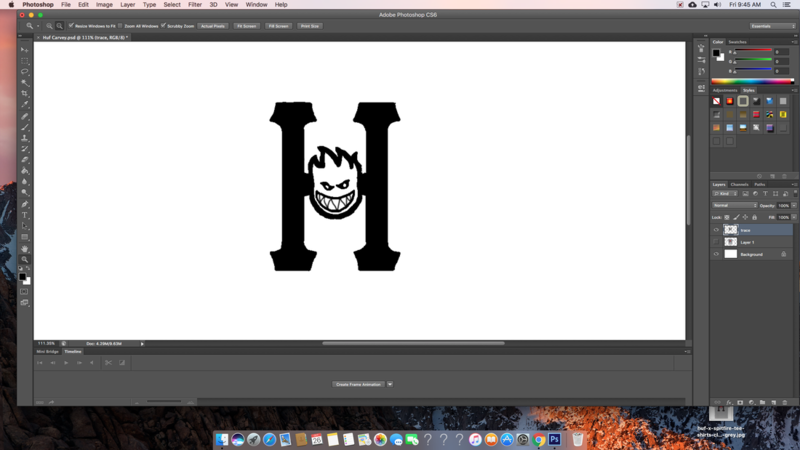 it was a little tough tracing the H but I managed and I think it looks pretty good. Tomorrow I'll make the teeth thicker and I'll be ready to carve! Today I made the teeth thicker, which was pretty hard, but I managed and tomorrow I should be ready to cut. Today I put my image in Easel and it didn't quite turn out right so tomorrow I guess I'll fix it in Photoshop and try importing it again. 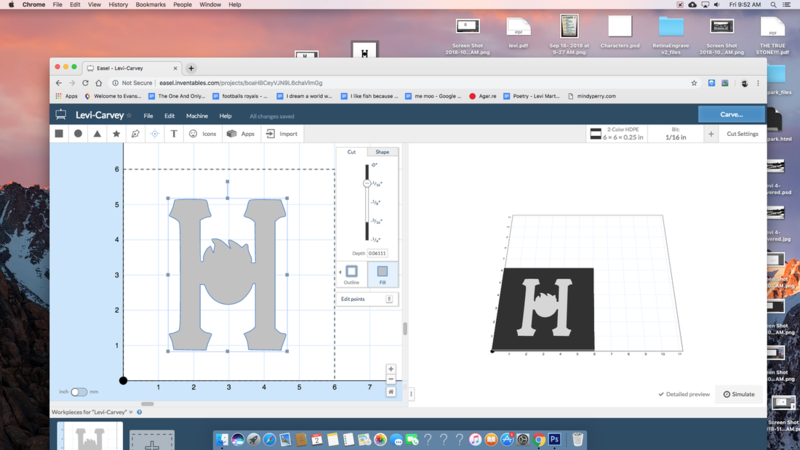 My goal for this week is to completely finish my Laser-Cutting project and keep working on my carvey. When I cut my Carvey I will continue working on the details. Today I mostly finished all of my laser-cutting project and all I have to do now is cut my letters and I'll have a finished laser-cut product! 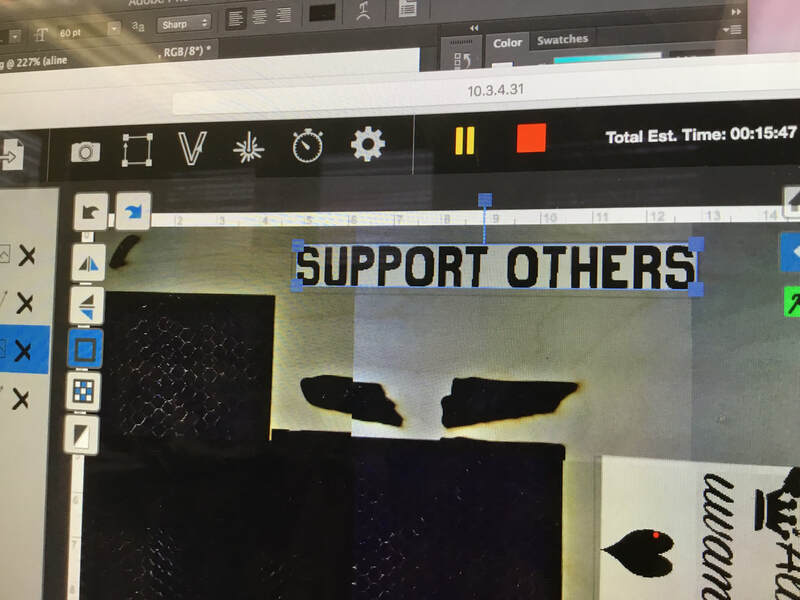 Today I put my text for my laser-cut in Retina Engrave so it should be cut tomorrow and I'll glue everything together. I finally finished my laser-cut after so much time. This was probably my favorite project in the whole class, and I think it came out amazing! Favorite Parts - My favorite parts of Media Arts were the laser-cutter and the poster. I like the poster because I actually got to get it printed and hang it up in my room! 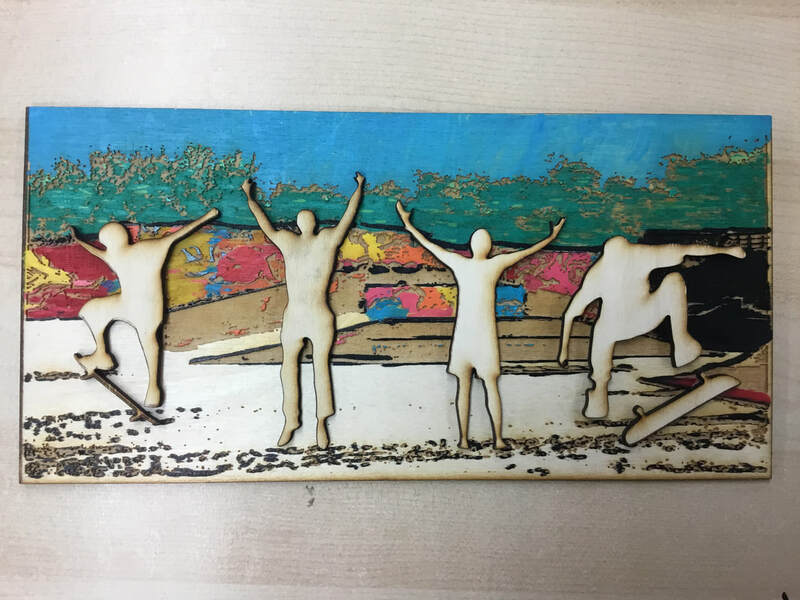 I enjoyed the laser-cutter because I actually got to burn a design in wood with a laser, and I had never tried it before. 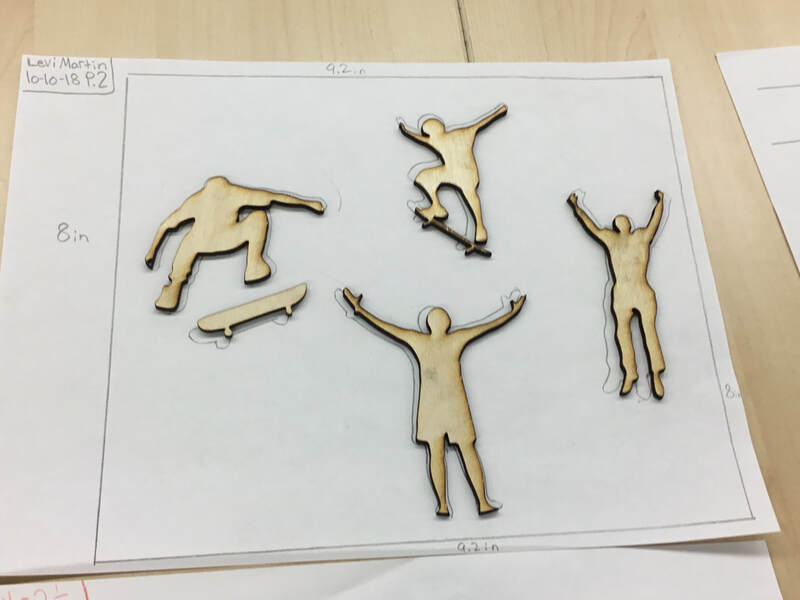 What I Learned - I learned how to do a lot of things in Media Arts this year, but two things I thought were really cool I learned this year were how to work with Adobe Spark and use the laser-cutter. they were really cool! Struggles - My hardest time was probably with my laser-cut. It was challenging because I had to keep changing what I did, but I overcame these challenges and in my mind, came out with a really cool result! What I Want To Change - The only thing I would change in this class is how long I got to be here. I wish I could stay in this fine arts class forever because it's the best one!